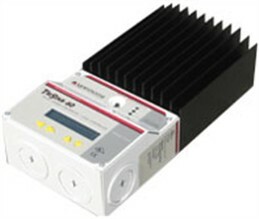 Solar Connectors MC3 type in a 10 pack for pv wiring. 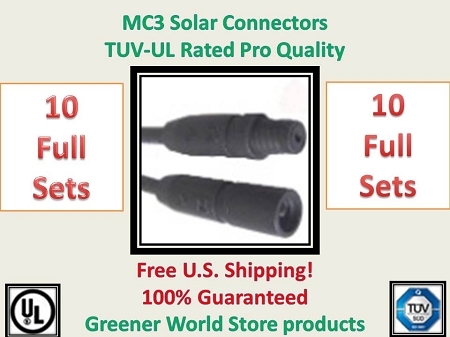 Use these mc3 connectors to quickly connect solar power devices together. These are easily installed and quick to use. 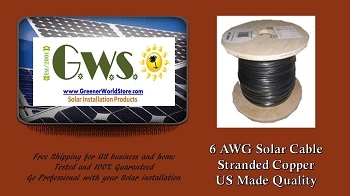 Shop at GreenerWorldStore for Solar Installation Supplies. MC3 solar connectors are used to attach solar wiring to associated solar devices. 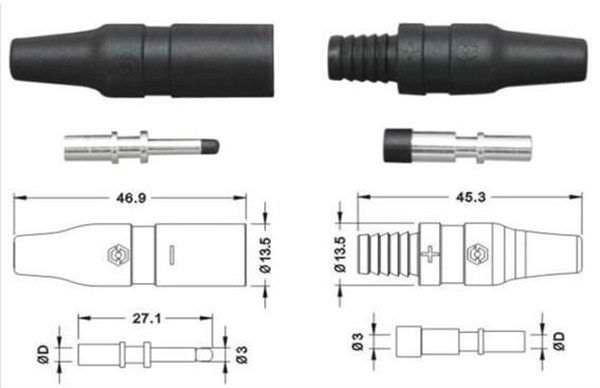 These MC3 connectors will securely connect pv cable easy and fast. Inexpensive to buy and use. Don't lose the power you paid for by poor connections. Greener World Store has solar installation supplies for all types of both large system installers and DIY engineers. We offer large selection, free shipping, and fair pricing.